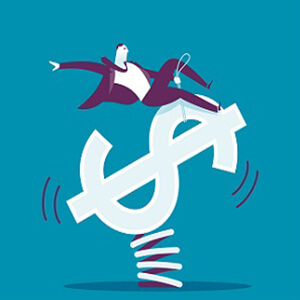 When it comes to Forex hedging strategies and hedging strategies in general, it should be noted that there is no single, foolproof way to ensure maximum profit with minimal risk exposure. Even though that is the whole purpose of any Forex hedging strategy! The idea of employing some form of hedging strategy is nothing new to financial markets, but it is vital for any Forex trader to learn a thing or two about Forex hedging. At the end of the day, developing a Forex hedge strategy of their own probably wouldn’t hurt either. Where Does Forex Hedging Fit In? Before scratching beyond the surface of hedging Forex transactions, let’s give a few basic words about hedging and what it means. 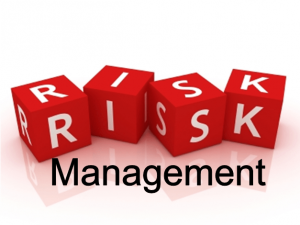 The term refers to a form of risk management, rather than gardening. The aura of mystery surrounding it can seem daunting enough, but in essence it all comes down to finding a way to limit potential losses. Preferably at a tiny expense of your future income! When employed properly, hedging strategies, Forex or otherwise, can result in anything from a deal going through with minimal losses to the deal falling through completely, but the trader still breaks even. If the Forex hedging is not done properly those losses could be huge. Still, the basic idea is simple enough to be understood even by a beginner – and its importance more than merits the mention. Hedging is most often employed by the largest players on the market, as a form of insurance against big losses. The key thing to notice here – they are not necessarily preventing the negative outcome from happening. In fact, this is not even possible. The purpose of hedging strategies is to mitigate the negative effects of this outcome, so prevention is not the goal. After all, fire insurance will not put out any flames, nor it is supposed to. It is there to compensate for any damage done by the fire. Same analogy fits with Forex hedging as well. You are preparing your Forex “just in case” scenario. Hedging strategies are most effective when applied to the type of situations where the market could go either way, but it will do so in a short period of time. Any trader can make an educated guess as to which way the market will go, but there is always a chance that they are wrong. By employing a Forex hedge strategy, they can at least break even so they can trade another day. The way to perform hedging strategies is to make two investments. The first is supposed to happen and turn in the profit. The other whose sole purpose is to offset the losses made by the adverse price action – one investment hedges the other. Those who are still toying with the romantic notion that there is such a thing as a risk-free profit opportunity need to come to their senses – Forex does not work that way. The key to success is managing the risk-to-reward ratio. 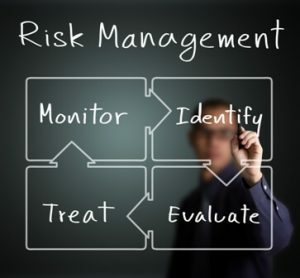 Even risk reduction comes with a price, and the price is not always right. Since all hedging strategies involve some sort of derivative, it should come as no surprise that Forex hedging strategies are no exception. In this case, the most widely used derivatives are currency forwards and options. Basically, an actual Forex investment is made as a primary means of profit. A secondary investment in a currency derivative is placed simultaneously in order to cover any adverse effects from the original investment. Since derivatives are cheaper than actual deals, the profit from the main deal should be more than enough to offset their cost as part of various hedging strategies. And since they can be lucrative as well, a well-placed derivative just might help a trader break even and escape a potential bankruptcy. The losses from one investment are covered by gains from the other and vice versa. In Forex terms, this means going long on one currency in a pair while getting an option or a future on the other one. That way, if the original deal comes through, the spot price will net more than enough profit to offset the cost of the derivative. The other scenario is that the market moves against the original deal, but the derivative kicks in and the status quo is maintained. Of course, there is a negative part to the whole story. The worst part about them is that they are never 100% accurate. There are too many variables to make them absolutely foolproof, and even when they do activate, the losses are almost never fully compensated in real life. Despite what the common wisdom has to say on the matter. Why Bother With Forex Hedging? While hedging strategies are definitely optional in terms of modern markets and most of the money is done on long-term trades anyway, the question of validity is a legitimate one. The fact that isn’t going away is simple. The spot market is still an issue when dealing with Forex transactions, so Forex options are a way of offsetting the loss. Let’s go through an example. Each has a peculiar set of characteristics that could potentially make the deal or break it. For instance, getting a currency option on the same pair could ensure there is a safe point, in case the spot market decides to throw a tantrum. If the spot price is more favorable, the option will expire worthless, but the income should easily offset the fee for the option. Otherwise, the trader will activate the option and recoup some of the losses, if not all. The problem with this strategy is getting your hands on the right option, as someone needs to be willing to share the risk. The fee may be too great in case the trader gets too greedy. A currency future is somewhat more reliable, even though the costs of hedging strategies are potentially higher. The biggest drawback of this scenario is that the trader would have to either find the currency to honor both deals or find a way out of a binding contract. Any miscalculation could eat away all the profits and even cause more trouble than it is worth – which is why currency futures are not very suitable for hedging strategies after all. Finally, using binary options as a counterweight in hedging strategies may seem like a perfect solution, as long as the broker is sympathetic and reliable. The fact that they offer a fixed return and severely limited risks can make them ideal for many hedging strategies, although the potential payout leaves a lot to be desired. Once again, none of these hedging strategies will mean anything unless the broker allows it – except for binary options, because of they are traded on a different market. The fact that they can be used in this regard is the only reason they are even being mentioned in this context. In a way, yes! A trader is always facing risks on Forex markets. Every time they are long on a currency pair they face either downside risk or upside if they are short. In order to develop an effective Forex hedging strategy, they need to keep track of four major aspects. First and foremost, in order to apply hedging strategies, they need to be able to assess the risks they are facing. As well as to figure out whether a risk is even worth hedging! If a trade is too costly to hedge and too risky to follow through unchecked, then the best course of action may well be to move along and wait for a better opportunity. Then again, if risk assessment is done poorly, that better opportunity may never come, as the trader will not be able to recognize it. Next, the trader will have to learn to accept the fact that there is no such thing as a zero-risk trade, hedging strategies or not. It all comes down to what risks they are willing or able to take. This will also account for the portion of their profit they are prepared to part with in order to alleviate some of this risk. Once again, there are no right and wrong answers to this question. It’s totally up to the trader. Third, there comes a time to choose an actual Forex hedging strategy that suits the taste and needs of the trader in question. This is arguably the trickiest part in the entire process, as there is a myriad of strategies and they all claim astounding success. It all depends on the type of situation the trader finds himself in. sometimes options are the best medium, or it may turn out the future was the way to go all along. The choice may very well be between the long and short straddle. Or a million other factors that need to be considered. But that is for individual strategies and individual derivatives. Finally, there is the stage where the strategy is implemented and followed through. This is the culmination of all the trader’s efforts to date. The execution is simple enough, if all the preparations were done properly – otherwise, it could turn into a nightmare. The major problem is that most traders do not realize this until it is too late. After all, no exchange rate can save a trader completely from finding himself on the wrong end of a currency future contract, at least not in real life. Risk is an ever-present part of Forex markets. Learning to curb or handle it is a must for any prospective Forex trader. There is no escaping it, so do not even try. The entire hedging thing is purely arbitrary and optional – no guarantees are made, apart from those made by the traders themselves. Still, there are many ways for traders to protect themselves and limit their exposure. The most obvious methods are currency futures, forwards and binary options, in combination with a hedging strategy you’re choosing. 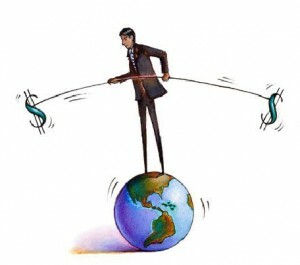 In partaking in the act of currency hedging, a trader is essentially betting against their own positions in an effort to reduce potential losses – provided they can afford to. Vanilla currency options are the most commonly used, as they convey the right to trade currencies under particular circumstances, assuming they are more favorable than those on the spot market. On the other hand, they come at a cost, and can be a bit tricky. Futures are more reliable, but binding for both parties, while binaries offer a fixed safety net and little else. The rest is really up to an individual trader’s preferences. As long as they can calculate the risk, factor in the costs of hedging, pick and master a hedging strategy as well as implement it in real life, traders have all that they need to join the big league – except the funds, but they will surely follow. After all, if they aim to win, there is only one thing that they absolutely must not do: they absolutely must not lose.